Your Meal Plan comes beautifully presented in a PDF ebook and includes everything you need to prepare breakfast, lunch, dinner & snacks for the whole week, it even includes hints, tips and notes to help you gain the most out of your plan! You can print and bind as a recipe book or easily access the documents from your computer or device. 7 Day Menu Plan – designed for 1 person and all you need to do is multiply the recipe by the amount of people in your family when you cook – that simple! You will notice recipes include a serving size, so for recipes including leftovers, the serving size will include these ‘leftovers’. Shopping List – Simply print off the list that corresponds to your family size – you will notice when you purchase shopping lists corresponding to 2-6 people can be downloaded for your conveince (if your family is larger than 6 please email [email protected] noting the amount of family members and an amended shopping list will be sent). Once you’ve downloaded your shopping list, print it off and tick the items you need to buy (alternatively open the PDF on your phone, use the drawing tools to tick what you need, take a screen shot and use the list digitally!). NOTE: the list supplies every ingredient needed to make the recipes in the menu, so you may have some ingredients on hand already! Use your list to shop, in person or online from the comfort of your own home. YES! You don’t even have to leave the house, order your groceries, have them sent to the house and all you need to do is cook!!! Along with options to increase nutritional value and other tips (like ‘nut free’ or ‘how to store’), to allow you to create a meal that suits your family. NOTE: Please ensure you provide a valid email address at the checkout, so we can send you a request to join the group. This will be received within 24 – 48 hours. LESS STRESS – this is just a bonus because we have taken all the thinking and planning stress away – you just need to shop & cook! If you haven’t already, download our free 3 Day Sample Menu and you’ll grab some awesome bonus recipes! What are you waiting for? Grab a plan and watch your health start to flourish! The 7 Day Vegan Menu Plan from Flourishing Meal Plans is designed to help individuals and families with healthy eating, no matter what their dietary and lifestyle needs! We want to take the stress, thinking and worrying out of planning the weekly menu, so all you have to do is cook a nutritious, delicious array of recipes, the whole family will enjoy! All meals that are in grey are ‘leftovers’ meaning you have already prepared this meal ahead of time – YAY! So you’ll be SAVING TIME & MONEY!!!!! The Vegan Menu Plan is a 7 day plan based on wholefoods, that will help you meet your nutritional needs. Quite often those on a vegan diet can struggle to meet protein and micronutrient needs. The plan is perfect for those just embarking on a vegan diet, or those who have been on the diet for years and want some help planning their weekly menu. The ebook includes nutrient dense recipes for breakfast, lunch, dinner and snacks, from a variety of plant-based sources. # plans are of a general nature and do not claim to provide any particular results, should you wish to be provided with individual care and treatment relating to your specific condition or symptoms, please get in touch for a consultation. TERMS OF PURCHASE: Plans are for the use of the purchaser only, if you love the plan, please don’t pass it onto friends and family, a lot of work, time, energy, research and love goes into each plan. However, we’d love you to tell everyone about the awesome plans and encourage them to grab a copy of their own. All rights are reserved and all plans remain the property of Flourishing Families Holistic Nutrition and are not to be reproduced, resold, or replicated in any way, without the prior written consent of the publisher. 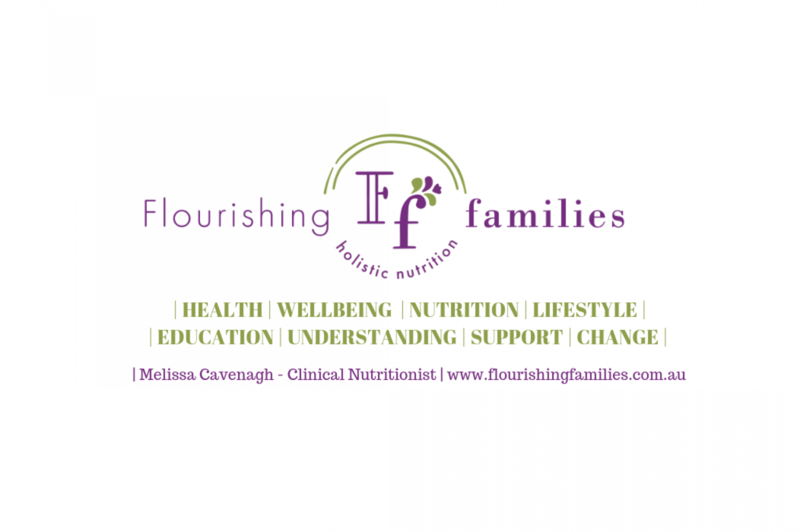 Practitioners wishing to use meal plans with their clients, please contact [email protected] for an outline of our meal planning services for practitioners. DISCLAIMER: This menu plan is for general information purposes only and is not intended to be construed as medical advice, nor is it intended to lead anyone away from a qualified health practitioner or medical care. We make absolutely no claims to diagnose, cure, treat or prevent any disease. If you have a medical condition, it is advisable to speak to your qualified healthcare professional before undertaking any new dietary plans. The author assumes no responsibility and cannot be held liable for any misunderstanding of the information supplied, nor can they be held liable for any illness, injury, loss or damage caused or allegedly caused by using the contents of this menu plan. Recipes contained within the menu plan may contain ingredients that you are allergic or intolerant to, it is your responsibility to substitute these ingredients. Following this meal plan does not constitute a practitioner – client relationship and the author cannot be held responsible for your failure to seek medical advice from your primary health care professional or doctor.